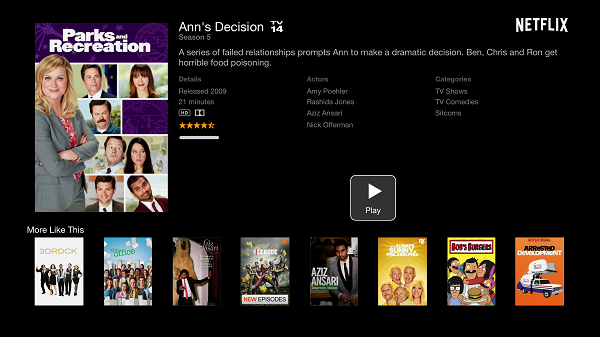 When we tested the first version of Apple TV we ended up liking it a lot, but still had a long list of unpresentable. Yesterday when you turn on my Apple TV, I greeted me with a new video start and the announcement that had been automatically upgraded to the latest version: Take 2 (Second Take). With the perfect excuse to throw me on the couch to watch TV, I immediately started to try the new version. For those who did not know, the Apple TV with iTunes Store wants to change the way we rent movies. Several leases have tried to distribute online, but no one has yet hit the mark. After testing the service Apple really were impressed. DVDs may become obsolete faster than we thought let alone Blu-ray, which may have the life and glory shorter physical media. Let us start by the not presentable of the previous version, see if they have solved some of those things. The music is cut to navigate other options? If it remains so. Although you can get a little further sailing, when you finally switch to photos or videos, the music stops. Looking for something in long lists of files is a headache? They have improved the interface, but they have not improved the search. Still tide. Does the option for photos is very limited and does not allow direct access to an image, not to mention that it is almost impossible to choose what you want to hear while you see the pictures? Again this has improved, but still can not go directly to a specific image. At least you can choose a playlist you want to sound while watching your photos. You are heated as doomed? Yes. It does not support DivX videos? No, only MPEG-4 H.264. Just it works via iTunes? If only via iTunes. Does YouTube option should allow navigate your own videos? This surprises me, still you can not see your own YouTube videos. You can see your bookmarks and history, but not the videos you’ve uploaded yourself. not Presentable. Now we see that most failures not have managed, is there any improvement? If several. To begin with, the first thing that makes us happy is that the update is free. Last night while testing the service, it really felt like a new product, being that I did not have to spend any weight on the new features. The same I feel every time the PlayStation 3 or Xbox 360 receives an update, I like this appliances that are updated with new features for free. Interface: Although it appears very messy at first and more complex than the previous interface, after a while you get used and you appreciate having more options on one screen and not have to be in and out of options. Having said that, the remote control is beginning to show its limitations. More than once you must enter text and childbirth choosing move through the alphabet letter by letter. Hopefully surprise us in the future with a new remote control. The other thing I do not like is that in your content is always listed last. You want to hear your music? My Music is the last option. Want to see your movies? My Movies is the end of the list. AirTunes: Perhaps one of the least promoted and more useful things. 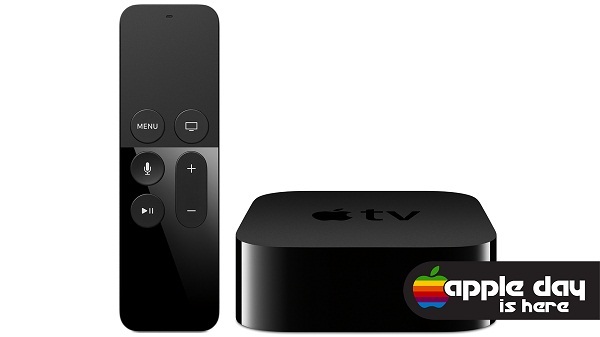 Now you can control what sounds on the Apple TV from iTunes before you could only do it directly on Apple TV with your remote control. The interesting thing is that any computer with iTunes open using the same WiFi network using Apple TV, you can make your music sound through the speakers connected to your computer – no matter that the Apple TV has or not the songs. It works wonders. Flickr: The second thing that interested me was to investigate the new functionality that has to show photos directly from Flickr. You enter the option, asks the name of a contact, enter “leoprieto” to see my photos, but the result was not as expected. They appeared on my screen vacation photos of some unknown. I’m still trying to figure out what I enter in “Contact” because it is not my username. To my mind it does not work very well. Podcasts: Much of the programming I see on my TV are podcasts, so I am very happy to browse, download and view all podcasts available on the iTunes Store. Before to do all that in iTunes and expect to be synchronized with the Apple TV. Now I can sit on my couch and review, for example, podcasts Discovery Channel with the best clips of my favorite shows. Even some in HD. Perfection. iTunes Store: The interface and integration with the iTunes store is the main improvement of this new version, but the highlight little because in Latin America there is no iTunes Store, so we can only enjoy some free programs or short previews and trailers . However it works great. I was lucky enough to try buying a TV from the sofa and then renting a movie, and I must admit that I was addicted. If I could, I would use this system only to decide that I want to see on television. The interface is clear and quick, and the download works very fast. But let ‘s review this in more detail. A friend, the kind that one wants sick, sent me an email telling me the weekend I was in San Francisco and wondering if I would like a credit card with iTunes Store. I thanked him and told him that I love. 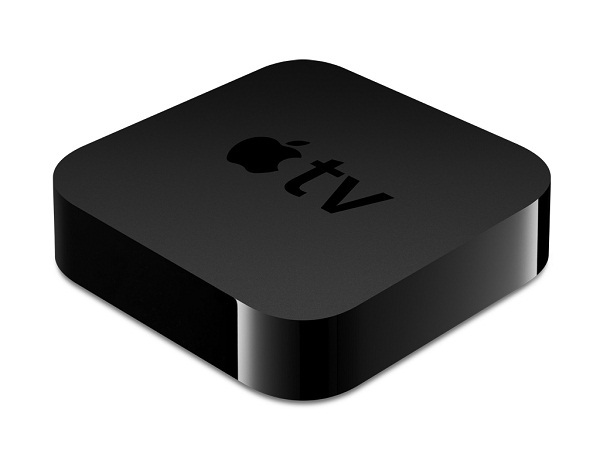 Yesterday came the Take 2 update for the Apple TV, so I decided to try it immediately. Enter, for iTunes on my Mac, the iTunes Store and enter the code on my card. He confirmed that the money had been credited to my account and went to sit on the couch. I set sail immediately for movies. The interface is a gem. Make the most of the size and high definition TV, you’re browsing covers and you can delve into categories such as Comedy, Western, Romance, etc. I noticed several turns watching movie trailers. In my case with a 2.4 Mbps connection, chose a trailer and a few seconds and was watching. As one would expect it to work. Then I started to navigate the TV. Same system, impossibly clear and effective. I chose a chapter of Extreme Engineering Discovery Channel – The Hong Kong Airport – and I click on “Buy”. He asks me the key to my iTunes account, the income, asks me if I want to keep it, I say yes and confirms me if I want to buy the program. I do and immediately begins downloading. I’m already sailing the few seconds a message appears that warns me that if I press “Play” Now, I can start to see the program immediately. It works so well that make you want to see everything. Renting a movie is practically the same. You navigate through the options, get to the movie you want and you click on “Rent” to lease it and if you have high definition version, “Rent HD” to download in 720p quality. Catalog movies cost $ 2.99, $ 3.99 US premieres and movies in HD with Dolby Digital 5.1 US $ 4.99 worth. I decided to lease Superbad (I had said it was good), but not see it in HD considers worthwhile, so I paid the $ 3.99 and began unloading. The couple of minutes the message appeared on the screen that the film was ready to be seen, though with a warning. If you pressed “Play” at the time, but you saw only the first few seconds of the movie, you’d have to finish watching it in the next 24 hours. Otherwise, if you have not played the video a moment, you have 30 days to begin viewing. Within 24 hours it seemed exaggerated, especially the cost of the lease. In my view, you should have 30 days to watch, whenever you want. As my plan was to see a movie at that time, I got comfortable and pressed “Play”. Immediately he began the film with a quality equal and even superior to DVD. It looked and sounded perfect. The experience was so perfect that made me want to describe the experience. It is no longer a promise watch movies online than DVD quality, it is a reality. Welcome to the future. Although experience is flawless, there are still many things to improve. The first is that the service is made for the US market. That means that if you do not live in that country, should get you a credit card US or buy a prepaid card (iTunes Gift Card) stores in that country. The day that this is something international, really be a revolution. The download speed in any case is ready for everyone. From Chile I could download movies at full speed delivering my connection. The other is the price. When you have a Blockbuster in Chile CLP charging between $ 700 (US $ 1.45) to CLP $ 1,700 (US $ 3.5) per film, the iTunes option is expensive. On the other hand, services like Netflix in the US or Bazooka in Chile (and tell you more about it) plans offer monthly fixed price for 3 films have in your possession at the same time. With Bazooka I can rent as many movies as you want during the month, and paid only US $ 20. Although iTunes service is more comfortable (nothing can beat the instantaneity), their prices are not competitive. Hopefully iTunes Store soon becomes truly international and begin offering movie rental services for a fixed monthly price. That’s all that needed to be perfect. Oh, and good movies include subtitles not be anything wrong. The service lease and purchase of movies, television series buying and buying songs is not enabled for Latin America. The movie rental is not at a competitive price. Once you start to watch a movie, you have only 24 hours to finish watching it. Flickr integration does not work as it should. Your content (My Music, My Videos, My TV Shows, etc) at the end of the listings. Several unpresentable of the original version are still unresolved. The movie rental service works perfect. It really is the first service that I prove that makes me believe that the Blu-ray DVDs and have no future. 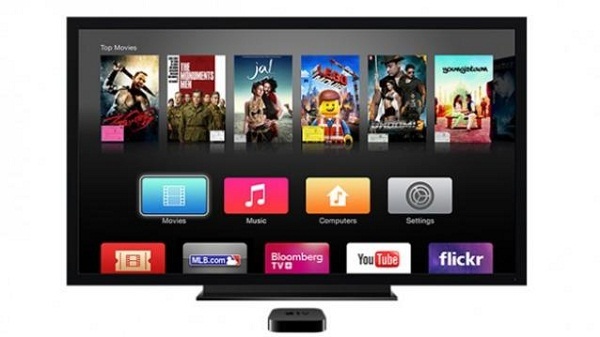 The promise of watching movies and TV, on demand, online, directly on the TV, it has become reality. Downloads start very fast, taking advantage of the maximum speed of the connection. IT HAS AirTunes! You can control the music playing through the speakers connected to Apple TV from any computer with iTunes. The update is free. They lowered the price of Apple TV . With the new version prices fell: US $ 229 for the 40GB version and $ 329 for the 160GB version. The movie rental costs US $ 2.99 per movie catalog, US $ 3.99 for new releases and $ 4.99 for HD quality movies.